Price improvement. New roof as of September 21st, 2018. Motivated Seller. 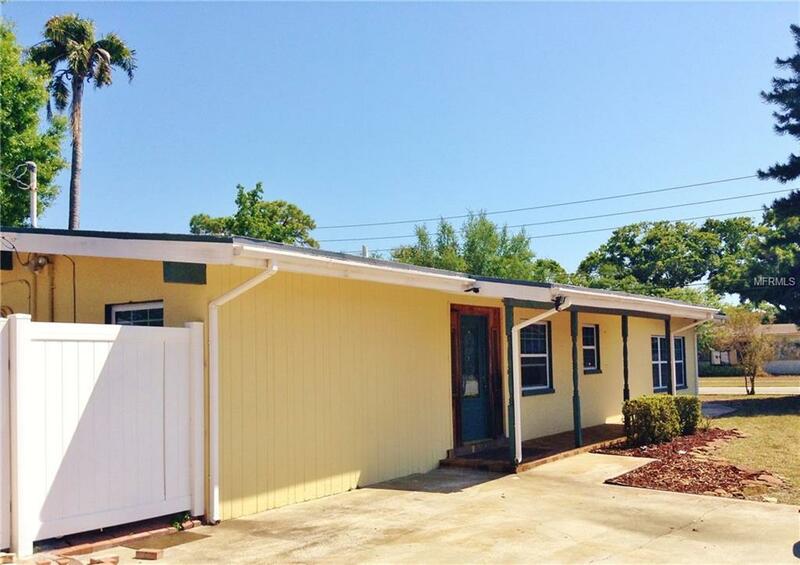 A roomy 4 bed /2.1 baths /1 car detached garage single family split plan home in a prime St Pete location. Has a large family room with a wood burning fireplace to gather and entertain in peace. The family room leads into the living room through double french style doors that can be kept open or closed to separate the rooms. Kitchen has stainless steel appliances and real hard wood cabinets with plenty of space. There are 2 bedrooms on one end of the home and 2 on the other end of this split floor plan. Master bedroom has a beautifully remodeled master bath and shower with custom vanity sure to impress you. This comfortable home offers a large fenced yard with room for a pool. New fencing 2017. There are 4 off street parking spaces in the front driveway parking pad and one car detached garage on the side of the home with room for one other vehicle to park in the side driveway. This home has 2 Air Conditioning systems for zoning and efficiency. Home also has a built in safe for your valuables as well. This home is located nearby St Pete General Hospital. Also nearby are the gulf beaches, golf courses, county parks and recreation, fishing, cycling and walking trails, shopping, dining, churches, doctors offices, and many more local hot spots. Minutes to beautiful downtown St Pete. See it today! Home warranty available. Listing provided courtesy of Vesado Realty Llc.